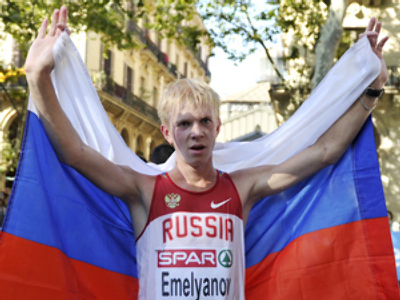 Russians have taken all three podium places in the Women's 20-kilometer Walk at the 20th European Athletic Championships, taking place in Barcelona. 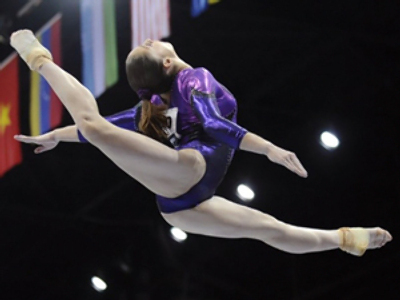 The gold went to 2008 Olympic champion, Olga Kaniskina, who was followed by Anisya Kirdyapkina, who took silver, and Vera Sokolova. Kaniskina and Kirdyapkina broke away from the main group after six kilometers of the race. The battle for the third place unfolded over the last five kilometers, with Sokolova being able to pass her rival from Germany, Melanie Seeger. Winner Kaniskina needed 1h 27m 44s to complete the 20 kilometers. Kirdyapkina finished 1m 11s behind, beating Sokolova by a minute and 48 seconds. The European Championships in Barcelona kicked off on June 26, but Team Russia already has five medals in the bag. On Tuesday, walker Stanislav Emelyanov took gold in the Men’s 20 kilometers, and Anna Avdeeva was third in the Women’s Shot Put.